The Seventh Judicial District Commission on Judicial Performance, by a unanimous vote (with one member absent and one vacancy), recommends Chief Judge J. Steven Patrick BE RETAINED. Judge Patrick graduated from Yale law school in 1977. 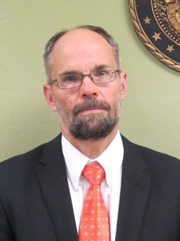 He spent twelve years in private practice, two years with the Office of the District Attorney, and then two years as a Gunnison County Court judge before being appointed to the District Court bench in 1993. Judge Patrick has been a member and past president the Colorado District Judges’ Association. He currently serves on the Colorado Supreme Court Standing Committee for Family Issues, the State Court Services Committee, the State Problem Solving Court Advisory Committee, the Executive Board of Our Courts, is chairman of the Probation Advisory Committee and was recently appointed to the State Courts’ Administrative Management Committee. Judge Patrick also teaches classes on week-ends and evenings at Western State Colorado University. The Commission observed Judge Patrick in the courtroom, reviewed his decisions, reviewed the survey results conducted a personal interview and reviewed his written self-evaluation. Both attorneys and non-attorneys were surveyed regarding Judge Patrick’s performance. Of attorneys responding to the survey, 88% recommended to retain, 8% not to retain, and 4% made no recommendation regarding retention. Of the non-attorneys responding to the survey 74% recommended to retain, 18% not to retain, and 9% made no recommendation regarding retention. (These percentages may not total 100% due to rounding). Judge Patrick’s workload consists of 35% civil, 35% criminal, 18% domestic relations, 5% juvenile, 5% water, 1% mental health, and 1% probate. The Commission found Judge Patrick to be dignified and courteous in the courtroom. Judge Patrick manages his docket in an efficient manner and issues rulings promptly. Overall, the Commission voted unanimously to retain Judge Patrick.